Striking. Precise. Rectangular. And yet soft and flowing. The DuraSquare ceramics effortlessly bring together apparent contradictions whilst also looking incredibly good. 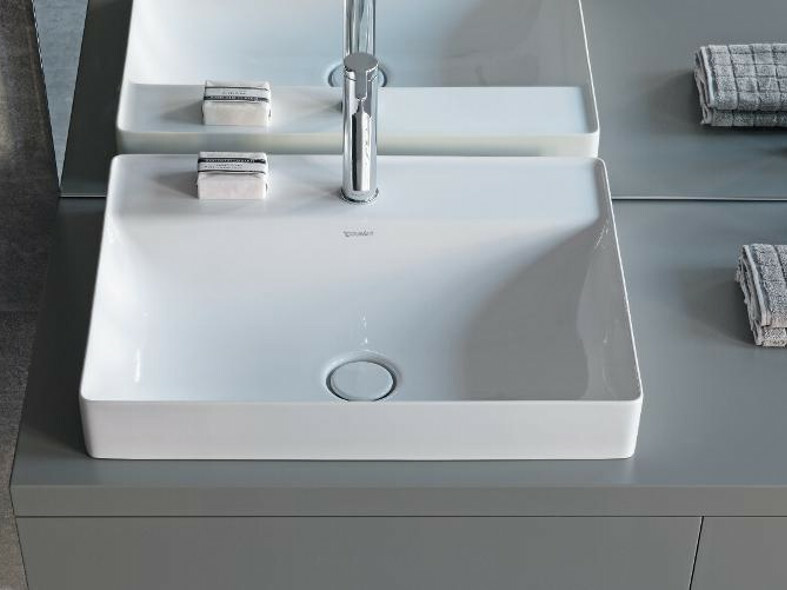 The DuraSquare washbasins feature extremely precise, parallel lines that, inside the basin, make way for soft and round transitions. Made from the innovative material DuraCeram®, precise rims can be created that are just five millimetres thick. This maximises the size of the basin, which is also particularly easy to clean. The DuraSquare bathtubs are made from the innovative cast mineral material DuraSolid® and harmonise perfectly with the washbasin design. 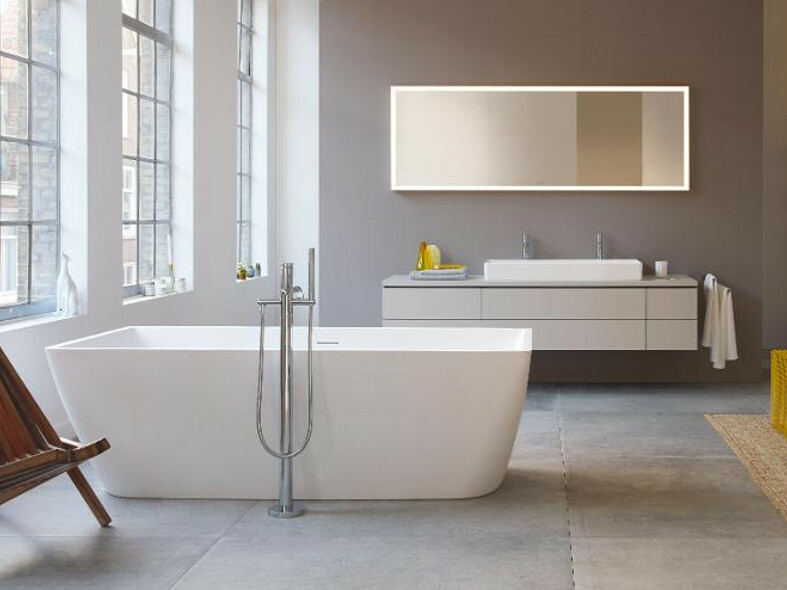 Whether as a free-standing, built-in, back-to-wall or corner version, the bathtubs offer impressively precise lines and a pleasantly warm feel. The innovative material DuraSolid® permits the production of seamless bathtubs, as if cast from a single mould. They can be fitted with an integrated sound module as an option.